If you have a patch or other medical memorabilia that I do not show on the particular page, i.e. 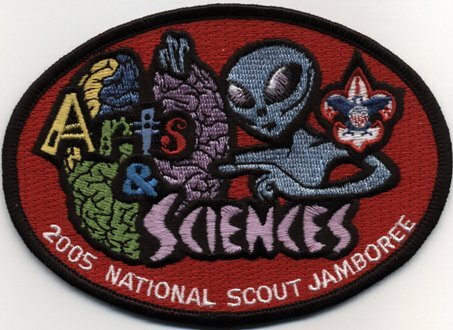 a 2001 National Jamboree medical patch that isn't shown on the jamboree page or a medical explorer patch that I don't list, I am interested in that item! On this page I will combine all the items that I know exist that I don't have. I have many of the medical items listed on these pages in duplicate and will trade well for my wants. Contact me at the bottom of the page to trade. 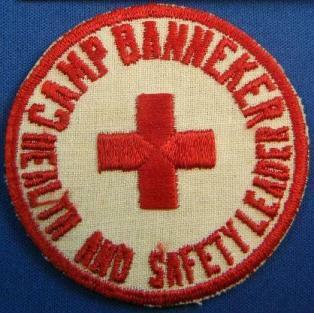 From the 1977 National Jamboree, it has the red words "Medical Staff" in the upper righthand corner on an otherwise standard 1977 National Jamboree patch. I have this patch from the 1997 National Jamboree, but it is used condition. I would like to acquire a mint one. 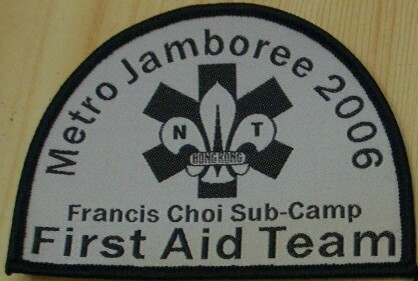 I don't have anything from the 2007 World Jamboree. These are four issues that I know of: the three diamonds above, and the Dutch Medical contingent patch to the left. I would be interested in acquiring all three. 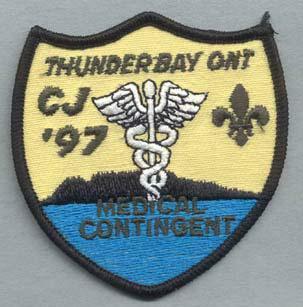 This was the medical staff patch from the 2011 World Jamboree, and I would like to trade for it. 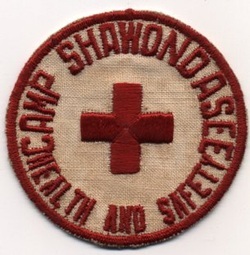 I recently acquired the patch on the right, and I do have a similar patch from Camp Roosevelt, which leads me to believe there may be other camps from the 1950s with a similarly desgined medical staff patch. I'm interested in the patch on the left as well as any other camps that use this design. Please let me know if you have one. I would like to trade for ones that I don't have, but even a scan alone would be helpful. Check the other pages I have set up here. There are likely many medical explorer post patches that I don't have; I would like to trade for those. There may be other medical "theme" patches as listed on the assorted page. 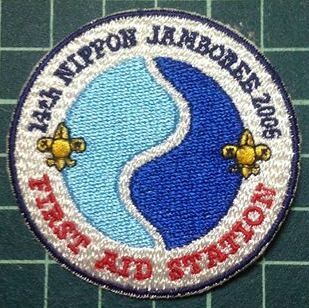 I might trade for them as well, although I am not interested in first aid camporee type patches. Make an offer if you have something. Thanks. 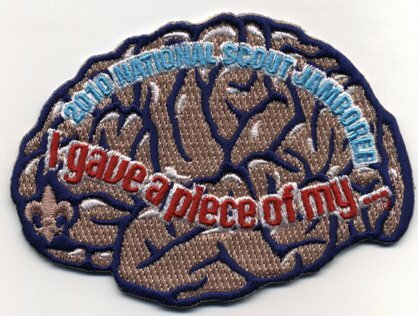 I am interested in any brain/neurology themed patches. These are the only three that I know of (and own). This armband is in my collection. Does anyone know anything about it? Is it a medical piece? 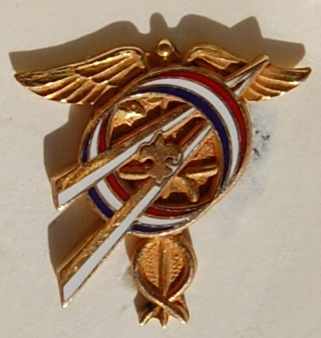 This pin shows the older Explorer symbol on top of a caduceus, so it would seem to reason that this is a medical explorer piece, but I don't know anything about it. Anybody? These are the other areas within Scouting that I collect, and I would be happy to obtain these items as well. Please contact me with any information or for trades. Thank you.